Private tours of Rome by electric bike to enjoy the city in complete freedom. On a private bike tour you will have an expert local guide completely at your disposal. With the advice of our staff, you can choose what to visit, which roads to take and how much to stay in each place. You can choose to follow one of the routes proposed by us in the group itineraries. Or you can personally choose the places to visit: You can change the route to replace some of the stages we offer, or you can choose to create your own private tour itinerary. 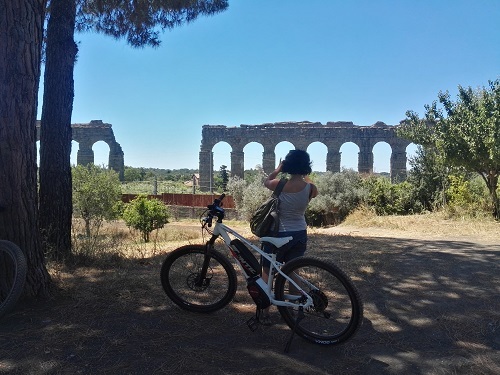 The guides who will accompany you to visit Rome on your bike tour are experts in art and culture of Rome. We are sure that they will be able to advise you on the best route to see the points of interest you have chosen. Our team will support and advise you in order to spend a day that goes beyond the traditional tourist scheme.